Much of higher education policy focuses on “traditional” college students—those who started college at age 18 after getting dropped off in the family station wagon or minivan, enrolled full-time, and stayed at that institution until graduation. Yet although this is how many policymakers and academics experienced college (I’m no exception), this represents a minority of the current American higher education system. Higher education data systems have often followed this mold, with the U.S. Department of Education’s Integrated Postsecondary Education Data System (IPEDS) collecting some key success and financial aid metrics for first-time, full-time students only. As a result of the 1990 Student Right-to-Know Act, all colleges were required to start compiling graduation rates (and disclosing them upon request) for first-time, full-time students and a smaller group of colleges were also required to collect transfer-out rates. Colleges were then required to submit the data to IPEDS for students who began college in the 1996-97 academic year so information would be available to the public. This was a step forward for transparency, but it did little to accurately represent community colleges and less-selective four-year institutions. Some groups, such as the Student Achievement Measure, have developed to voluntarily provide information on completion rates for part-time and transfer students. These data have shown that IPEDS significantly understates overall completion rates even among students who initially fit the first-time, full-time definition. 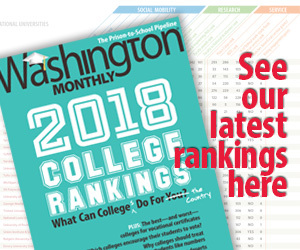 After years of technical review panels and discussions about how to best collect data on part-time and non-first-time students along with a one-year delay to “address data quality issues,” the National Center for Education Statistics released the first year of the new Outcome Measures survey via College Navigator earlier this week. This covers students who began college in 2008 and were tracked for a period of up to eight years. Although the data won’t be easily downloadable via the IPEDS Data Center until mid-October, I pulled up data on six colleges (two community colleges, two public four-year colleges, and two private nonprofit colleges in New Jersey) to show the advantages of more complete outcomes data. Examples of IPEDS Outcome Measures survey data, 2008 entering cohort. (1) A sizable percentage of students enrolled at another college within eight years of enrolling in the initial college. The percentages at the two community colleges in the sample (Atlantic Cape and Brookdale) are roughly similar to the eight-year graduation rates, suggesting that quite a few students are transferring without receiving degrees. These rates are lower in the four-year sector, but still far from trivial. (2) New colleges show up in the graduation rate data! Thomas Edison State University is well-known for focusing on adult students (they only accept students age 21 or older). So, as a result, they didn’t have a first-time, full-time cohort for the traditional graduation rate. But TESU has a respectable 42% graduation rate of part-time students within six years, and another 29% enrolled elsewhere within eight years. On the other hand, residential colleges may just have a first-time, full-time cohort (such as Centenary University) or small cohorts of other students for which data shouldn’t be trusted (such as Seton Hall’s tiny cohort of first-time, part-time students). (3) Not first-time students graduate at similar or higher rates compared to first-time students. To some extent, this is not surprising as students enter with more credits. For example, at Rowan University, 82% of transfer students who entered full-time graduated within six years compared to 64% of first-time students. (4) Institutional graduation rates don’t change much after six years. Among these six colleges, graduation rates went up by less than five percentage points between six and eight years and few students are still enrolled after eight years. It’s important to see if this is a broader trend, but this suggests that six-year graduation rates are fairly reasonable metrics. Once the full dataset is available in October, I’ll return to analyze broader trends in the Outcome Measures data. But for now, take a look at a few colleges and enjoy a sneak peek into the new data!